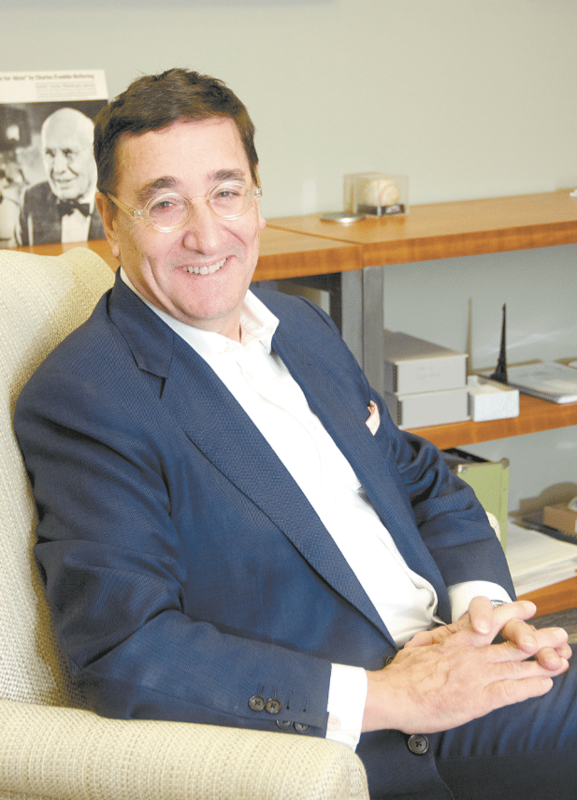 Art Tipton is the CEO of Southern Research, a world-renowned center for drug development based in downtown Birmingham. He said he is involved in the Real Men Wear Pink campaign because he thinks about cancer every single day. Southern Research CEO Art Tipton. Photo courtesy of the American Cancer Society. “Every day when I walk in, I think about what our research is doing to further treatments and cure rates,” he said. Southern Research has been working toward beating cancer since the 1940s. The lab has discovered seven anti-cancer drugs and developed many more. According to Tipton, at least half of cancer drugs on the market today have passed through Southern Research on their way to approval for use in patients. The cancer fight is personal to Tipton not only because it is part of his life’s work, but also because he, like many, has been touched by cancer. “My father had prostate cancer and my wife’s sister had breast cancer. It turns your life upside down,” he said. Part of Tipton’s goal is to raise awareness about the disease but also to share good news about the research happening now. He said cancer research is more collaborative than it has ever been. Tipton said he is looking forward to spreading awareness about breast cancer by stepping outside of the lab and outside of his comfort zone to wear as much pink as he can. Even though the wardrobe palette may be an adjustment for Tipton, he said he already has started to engage people in the discussion about breast cancer. He is even channeling his hobbies into the cause. “When I’m not working I have hobbies like woodworking, and I’ve started making pink cuff links to hand out,” Tipton said.